Qualifying in 2017 - Darryl Edwards is currently the only Wahls Protocol® Health Professional certified in the UK. THE WAHLS PROTOCOL IS A FUNCTIONAL MEDICINE APPROACH TO TREATING MULTIPLE SCLEROSIS AND OTHER AUTOIMMUNE CONDITIONS. IT UTILISES LIFESTYLE STRATEGIES, INCLUDING Nutrition, MOVEMENT, AND STRESS-REDUCING PRACTICES to tackle chronic lifestyle disease. Want some help FROM A WAHLS PROTOCOL HEALTH PROFESSIONAL? Do you want help with implementing and fine tuning the Wahls Protocol? Not sure whether you should do the Wahls Diet, Wahls Paleo or Wahls Paleo Plus? Would you like coaching on a movement protocol such as the Primal Play Method that would support your dietary changes with improvements in function and reduction in fatigue? Do you want advice on targeted supplements and markers to track in terms of blood work? Do you feel your progress has stalled? Or would you just like a second opinion? As a movement, health coach and nutritionist I see clients locally in London, England and via webcam or telephone from individuals globally who want to incorporate practical and effective nutrition, movement and lifestyle changes that lead to better health in tackling chronic lifestyle disease. I have spoken at the Wahls Seminar held in Cedar Rapids, IA, USA on several occasions on the medicinal benefits of movement and physical activity. Movement as medicine. As well as a published blog post on Dr Wahls' Website too about the benefits of exercise for those with multiple sclerosis. A certified Wahls Protocol® Health Professional has demonstrated they have the knowledge to motivate an individual to make the diet and lifestyle changes as taught by Terry Wahls MD from her book, The Wahls Protocol. 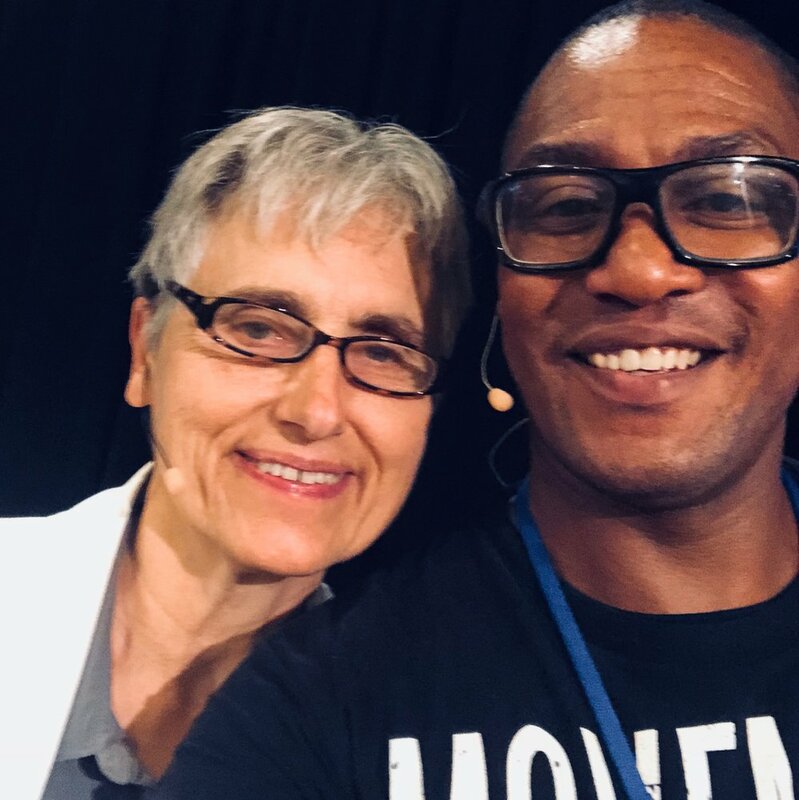 Dr. Terry Wahls is the author of The Wahls Protocol: How I Beat Progressive MS Using Paleo Principles and Functional Medicine and a clinical professor of medicine at the University of Iowa where she conducts clinical trials. She is also a patient with secondary progressive multiple sclerosis, which confined her to a tilt-recline wheelchair for four years. Dr Wahls restored her health using a diet and lifestyle program she designed for the brain she terms The Wahls Protocol. The Wahls Protocol gained international attention when Dr. Wahls addressed an audience in Iowa City as part of a 2011 TEDx talk in Iowa City talking about her battle with multiple sclerosis. Her talk, Minding Your Mitochondria, has drawn over 3 million views on YouTube. “Around 8 months ago in desperation my friends told me about Darryl Edwards who was promoting a diet that hopefully would help me over some of the symptoms of Multiple Sclerosis (MS). I wrote to him to declare that I was at my wits end and simply didn’t have a clue what to now do next. I thought I was eating all good foods - organic, hand made, super expensive - and still I wasn’t getting better. I just wanted to be on the right track to get results….. real, visible results - isn’t that what we all want? So I had to ask WHY isn’t this happening to me? Is there anything I can do to help myself? He agreed to have a go partly using the Terry Wahls protocol, some movement coaching and helping me to stay focussed. Firstly he asked me to do a food diary. I was honest and he highlighted what I could and couldn’t have. I found it difficult but eventually the months went by and SLOWLY I realised that with a bit of perseverance, rotating the few foods around, trying new recipes, that actually the diet was good! I quickly was able to go to 85-95% - now most days at 99% - I am leaving 1% for error that I don’t yet know! I continue to think it is early days still but if you are asking me am I on the right road - I would say YES! "Darryl: My self concept about my fitness was altered. Because of you. Inclusivity is one of my deepest held values and always was; way before my body was affected with this disease. I can see that you bring that to your work and I deeply appreciate that."